The spare Yaesu MH-34B4B is a handheld microphone for mobile transceiver Yaesu FT-70 & FT2DE, and FT-60, FT-50, FT-10, FT-40. Comes with: Hand Microphone Yaesu MH34B4B, genuine part Yaesu. 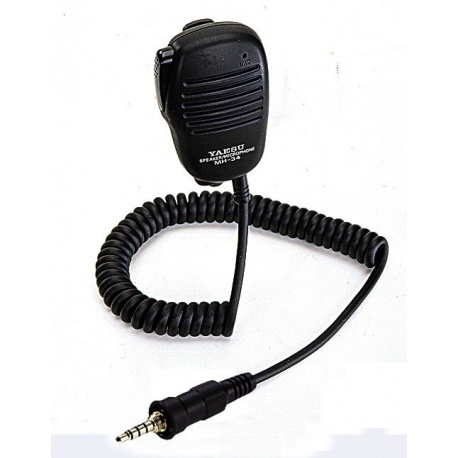 Description: The spare Yaesu MH-34B4B is a handheld microphone for mobile transceiver Yaesu FT-70 & FT2DE , and FT-60, FT-50, FT-10, FT-40. Comes with: Hand Microphone Yaesu MH34B4B, genuine part Yaesu.